Is it possible to send an abandoned cart email if there is an order pending? Yes, if there are certain order statuses that you want to consider as abandoned carts, you can list them in the *Abandoned Cart Ignored Order Statuses* field. 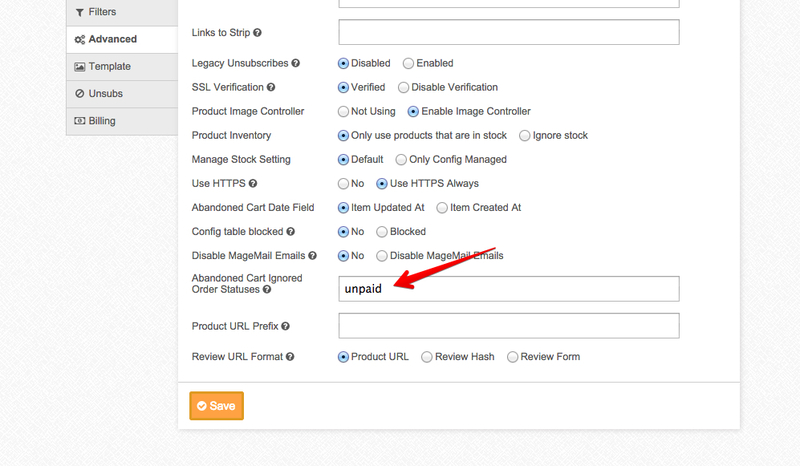 Normally, the way that MageMail works is that it doesn't consider a cart abandoned if it detects any order placed by the customer after the cart abandonment. But if you have certain order statuses that you want to consider as abandoned, you can use this feature.